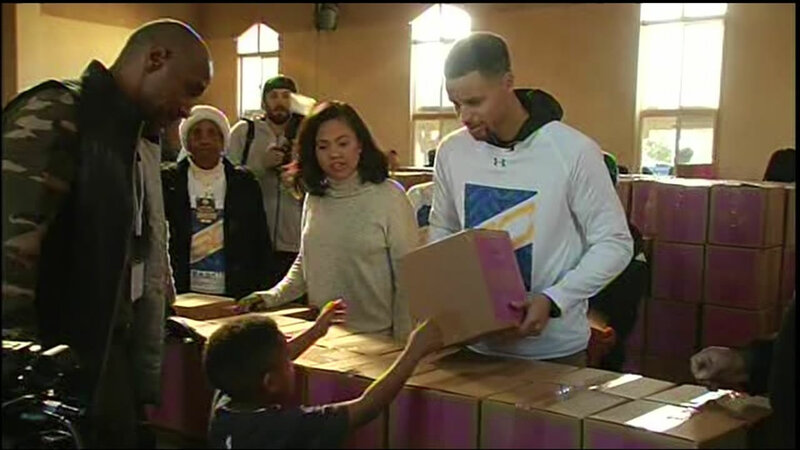 OAKLAND, Calif. (KGO) -- Warriors star Steph Curry and his family will distribute boxes of food and other items to help families this holiday season. It's all part of the fourth annual Curry family Feed the Children event. There are 1,200 Oakland families will receive a 25 pound food box and a 10 pound box of personal care items. The giveaway starts at 3 p.m. at the Beebe Memorial Cathedral in Oakland. For more stories about the Golden State Warriors, click here.